This is a proposal for experience tourism by the Museum of La Noguera. It is available exclusively in Balaguer. 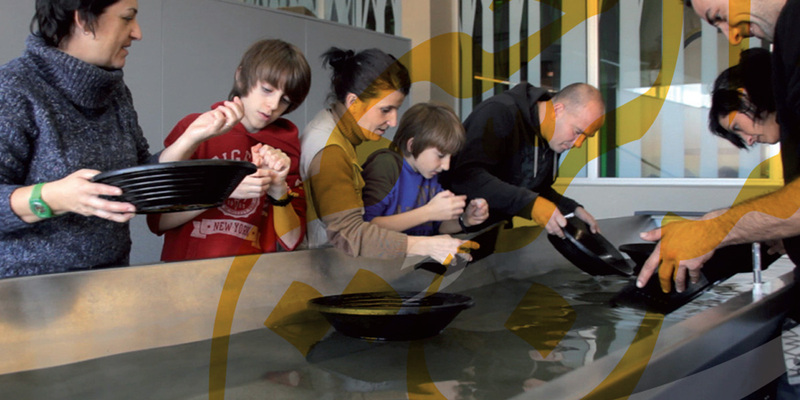 Put yourself in the place of real gold prospectors and relive the history of the search for gold in the river Segre. Immerse yourself in the city of Balaguer, which for centuries was an Andalusian border town; a city of a thousand and one nights where Mariam -Muslim, Jewish or Christian- saw gold glitter every day in the calm waters of the Segre. Discover how important the extraction of precious metals was in those days. Finally, taste some "liquid gold" from the Noguera. Find some gold and take it home with you! Taste gold and find out what it tastes like. Enjoy the flavours of dry farming: olive oil and wine. Take a gold prospector's hat away with you as a souvenir. Additional: If you fancy, can discover the savour an authentic Andalusí lunch. Ask for this. Duration: About four hours (from 10:00 am). Meeting point: Museu de la Noguera, Plaça dels Comtes d’Urgell, 5 -25600- Balaguer. •	First Saturday of each month. •	Any day of the week, by reservation, for groups (minimum 8 adults - maximum 15). •	Catalan – Spanish – English – French. Information and reservation: We can make your booking, and you also get a discount on the price by being our customers.